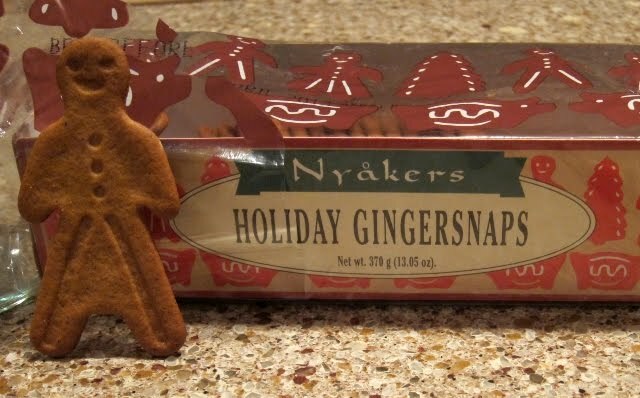 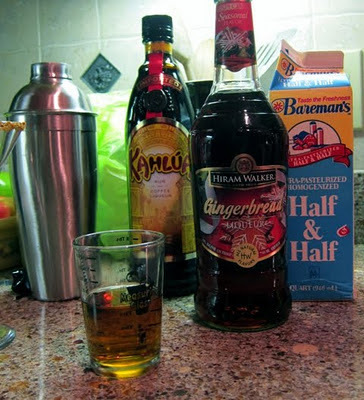 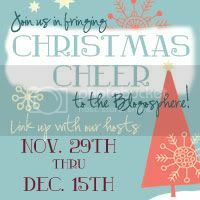 Our continuing series on holiday drinks. 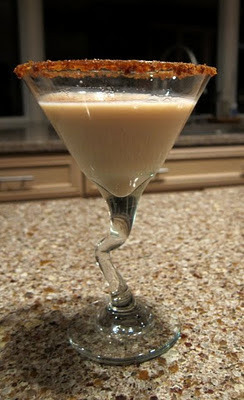 we thought we'd try a Gingerbread Martini. 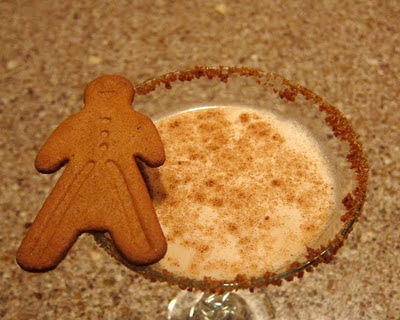 Rim glass with crushed gingerbread men and a little sugar and cinnamon.